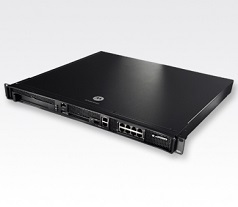 The RF Switch (RFS) 6000 provides a single platform capable of delivering carrier-grade wireless voice and data inside and outside the enterprise for medium to large organizations with 2,000-20,000 users. Improve operational efficiency and reduce the cost of mobility with a powerful comprehensive feature set including Adaptive AP, which delivers unmatched performance, security, reliability and scalability to enable networks for business mobility at a low TCO. Comprehensively secures and protects the wired and wireless network against attacks and unauthorized access at Layer 2 and Layer 3 with Stateful Inspection; ability to create identity and location-based policies provides granular control of network access. Exceptional level of data and network protection without sacrificing fast roaming, including: WPA2-CCMP (with 802.11i fast roaming options); Stateful Firewall at Layer 2 and Layer 3 for the wired and wireless network with role based configurations; Geofencing, integrated RADIUS Server. Supports multiple levels of redundancy and failover capabilities to ensure high availability networks; provides a single Virtual IP (per VLAN) for the cluster for use as a default gateway by mobile devices or wired infrastructure.